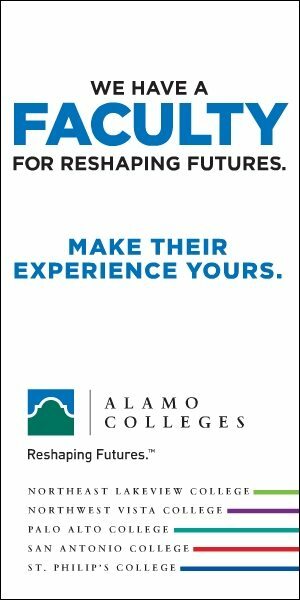 Alamo Colleges was trying to expand its student base to those prospects who would normally consider a four-year university over a community college. There is often a perception amongst prospects that community colleges are somehow ‘lesser’ than four-year universities because of less qualified faculty. 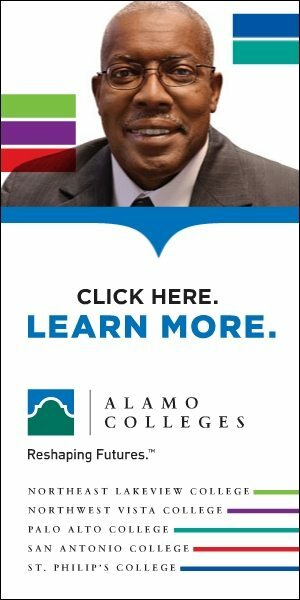 Highlight the fact that the Alamo Colleges boast a robust faculty of individuals who are highly experienced – not just in teaching but in “real world” careers and practical knowledge. 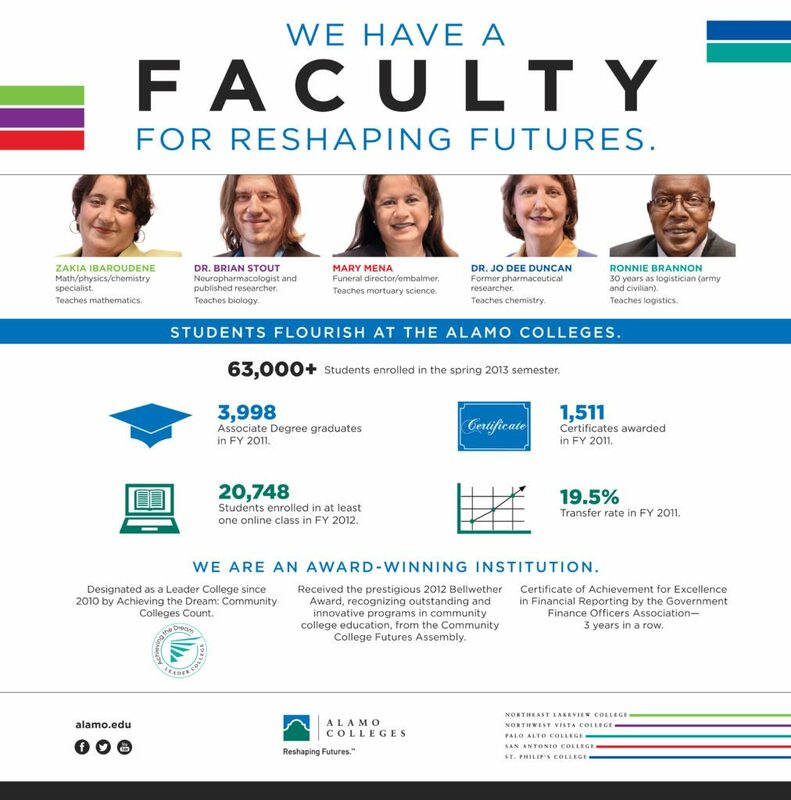 We did this with the campaign theme “We have a faculty for reshaping futures.” This got our message across nicely and subtly reminded the viewer/listener that the word “faculty” means both a group of teachers and a specialized skill or capability. Which, of course, further emphasized our point. The ‘We Have a Faculty’ campaign reached students via both print ads and TV commercials featuring individual faculty members and their experience in their respective industries. We also reinforced this message by creating a microsite. This microsite allowed us to give more information than a 30 second TV spot ever could. By showing longer cuts of the faculty interview videos, we were able to give visitors an even deeper look into the excellence at Alamo Colleges. 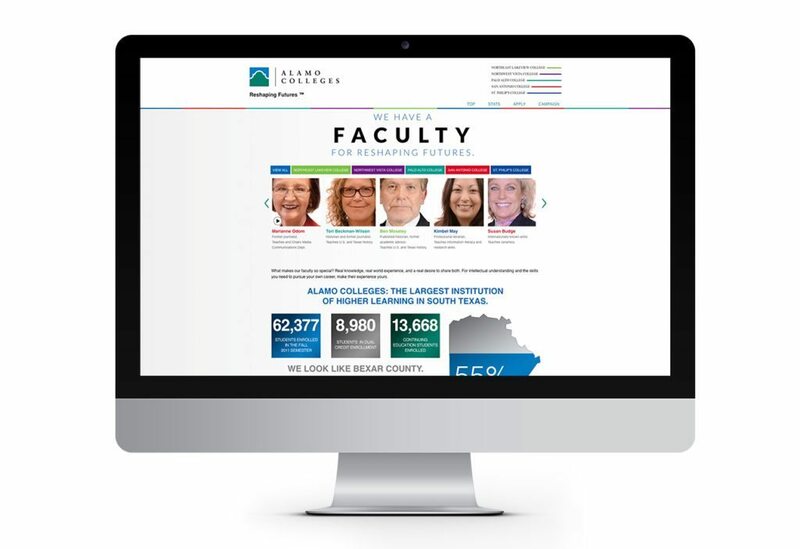 We also populated the site with a variety of statistics regarding Alamo Colleges’ retention and enrollment rates.